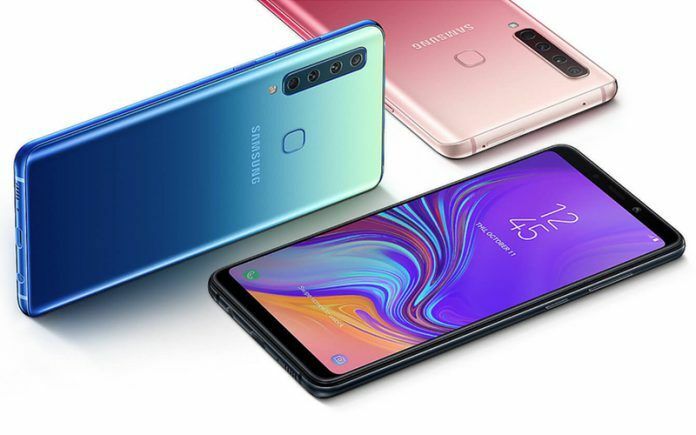 The Samsung Galaxy A9 (2018) is the first consumer smartphone in the world to feature four rear-facing cameras. Apart from the ability to capture regular images, these four cameras on the back allow users to take wide-angle, telephoto, and portrait photos. The smartphone also keeps the selfie performance in check with its 24MP camera at the front. The smartphone comes packed with Qualcomm Snapdragon 660 processor, and it runs on Android 8.0 Oreo OS with Samsung’s Experience 9 UI. The device is available in 6GB and 8GB RAM variants, both of which have 128GB of storage. Pros: The Samsung Galaxy A9 (2018) offers immense versatility with its quad camera setup. The phone offers a large and vibrant AMOLED, and its battery is also quite good. Cons: Sadly, the quad camera performance is quite inconsistent and completely falls apart in low-light situations. The performance is unimpressive and the software feels a bit laggy. Summary: In the race to stand out in this competitive market, Samsung has debuted the Galaxy A9 (2018) which boasts a quad camera setup at the back. While this setup does open a great degree of possibilities, the resulting images are simply not up to the mark. The battery on this phone is quite good, but the lacking performance makes it hard to justify the phone's price. The Samsung Galaxy A9 (2018) price in India is Rs 27,490 for the 6GB + 128GB internal storage variant. The phone is available in 8 variants: Bubble Gum Pink, Lemonade Blue, Blue, Pink, Black, Bubblegum Pink, Caviar Black, . The phone was launched in India on 11 October 2018. 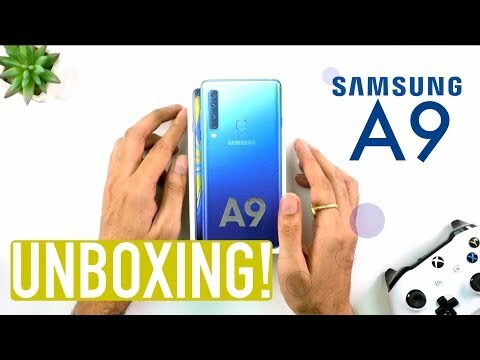 The Samsung Galaxy A9 (2018) features a metal body with glass at the front and the back. The smartphone flaunts a large, 6.3-inch display with Super AMOLED technology, Full HD+ resolution, and nearly bezel-less design. The A9 (2018) comes with all the modern connectivity options like Bluetooth v5.0 and USB Type-C port. 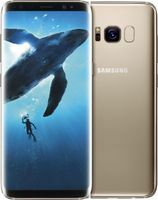 The device is powered by a 3800mAh battery that supports Samsung’s Adaptive fast charging. Samsung Galaxy A9 (2018): How Does It Compare Against Other Similar Priced Smartphones in India? With the starting price of Rs. 36,990, the Galaxy A9 (2018) competes directly with the OnePlus 6T and the Asus Zenfone 5Z. Although the Galaxy A9 (2018) offers more and well thought out software features, it falls behind both the smartphones in terms of processing power. The camera hardware on the Galaxy A9 (2018) however looks better than that of its competitors, but even then I think, as an overall package, the OnePlus 6T and the Zenfone 5Z make more sense, at least on paper. We can however only say once we test the device. The Samsung Galaxy A9 (2018) features a tall 6.3-inch Super AMOLED panel with 1080 x 2220 pixels resolution and an aspect ratio of 18.5:9. Under the hood, the smartphone is powered by a Qualcomm Snapdragon 660 chipset carrying an octa-core processor, mated to Adreno 512 GPU for handling the graphics. In the memory department, the smartphone offers multiple configurations with the top-end model packing up to 8GB of RAM and 128GB onboard storage. The device will also come with the option to expand the memory even further using a microSD card. On the connectivity front, the options that tag along with the device include the Wi-Fi 802.11 a/b/g/n/ac, dual-band, Wi-Fi Direct, Bluetooth 5.0 with LE, GPS with A-GPS, GLONASS, BDS, GALILEO, USB Type-C, and NFC. The smartphone also comes with a 3.5mm headphone jack. The sensors onboard include an accelerometer, gyroscope, magnetometer, ambient light sensor, an RGB light sensor, and a proximity sensor. For biometric authentication, there is a fingerprint scanner mounted at the rear panel. Backing up the device and keeping it running is a 3800mAh capacity battery that comes with a fast charging option. As for software, the device ships with Android 8.0 (Oreo). In terms of dimensions, the device measures 162.5 x 77 x 7.8 mm and weighs in at 183 grams. Does it support dual SIM and a memory card? Yes, it supports dual SIM and a memory card. What is the use of 4 cameras? It is really good. I am sure going to buy this phone. I am impressed by its 6GB RAM and 128 GB internal memory. wow! No need to worry about space. Such a great Samsung teams.